Message boxes are commonly used for the internal distribution of mail in many large organisations and businesses. Traditionally these were a series of named or numbered ‘pigeon hole’ compartments, where internal or external mail would be left for staff to collect. However, without a way to secure the letters or documents left in the compartments, problems can occur when mail is lost or taken without authorisation. 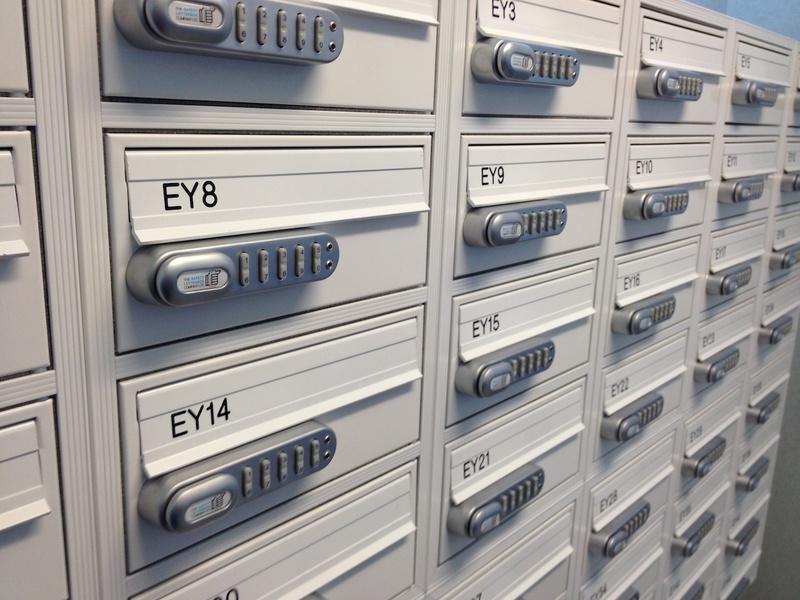 In a bid to increase the secure handling of potentially sensitive mail at its UK headquarters, a major energy provider called on the services of The Safety Letterbox Company to design a new, and more secure, mail message box system. The Safety Letterbox Company installed a keyless mailbox system using KitLock 1000 digital cabinet locks. Each mailbox has a letterbox flap, where incoming mail can be posted. To retrieve mail, employees simply enter a four-digit code to open the mailbox door. Employees are able to set and change their own personal codes, whilst a pre-set master code ensures that supervisory access is available at all times. If an employee leaves, the mailbox is easily configured for another employee to use. The KitLock 1000 digital lock can be installed in a right- or left-hand horizontal position – this flexibility suits the shape of the majority of lockable mailboxes available on the market today. Other applications include mailboxes for private residential or housing association apartment blocks, colleges and universities. For more information the best digital locks to use for securing mail message boxes visit our website.